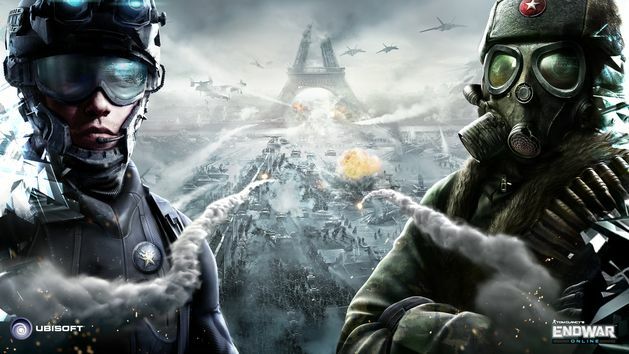 Things have been a little quiet since the September 2013 reveal of Tom Clancy’s EndWar Online but strategy fans everywhere finally have something to get a little excited about. Earlier today Ubisoft announced that the free-to-play browser spin-off of the popular EndWar IP will launch its first Open Server event tomorrow, Saturday March 29th. Players will have the opportunity to sample EndWar Online’s features for 48 hours while the developers use the time to ensure servers are ready and able to support further Closed Beta testing. Ubisoft also announced an in-game event that includes a variety of exciting prizes such as Closed Beta keys, EndWar themed goodies and tons of in-game items. The prizes will be handed out during the first in-game Happy Hour event that will launch one hour after the game opens its doors, approximately 4PM EST. This Sunday will introduce another exciting event in the form of the Theater of War. Players will have the opportunity to test their strategy mettle against other Faction members in a battle to control the few resources that remain on Earth. This event will also see an increase in level cap compared to previous testing events, from level 20 to 25. Infinite Battle Points will also be available, allowing players to engage in as many PvE battles as they wish. For more information, or to sign up for future Closed Beta testing opportunities, check out the official website.